Orange County will soon be home to Sushi Roku, a contemporary sushi experience unlike any other in the region. With a menu of fresh, global ingredients presented in one-of-a-kind dishes, Sushi Roku transcends borders while still respecting Japanese tradition. 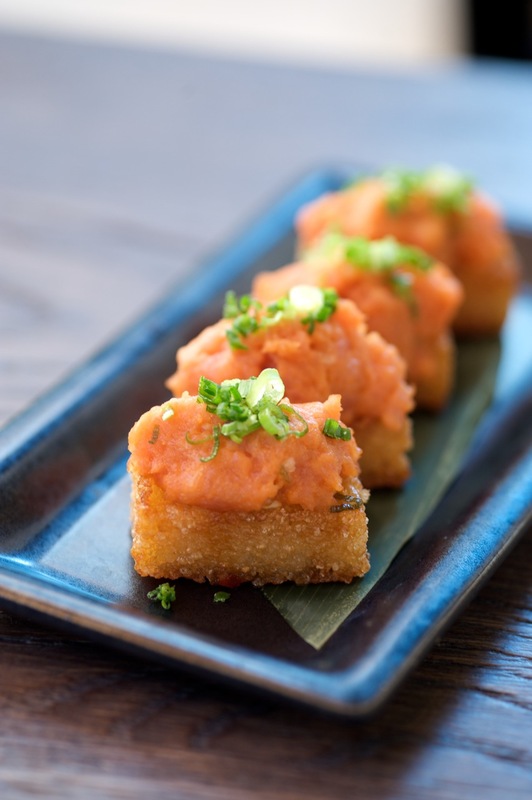 The first concept to debut in Orange County from Innovative Dining Group, Sushi Roku’s 6th location is slated to open at Fashion Island in Newport Beach on June 1st. 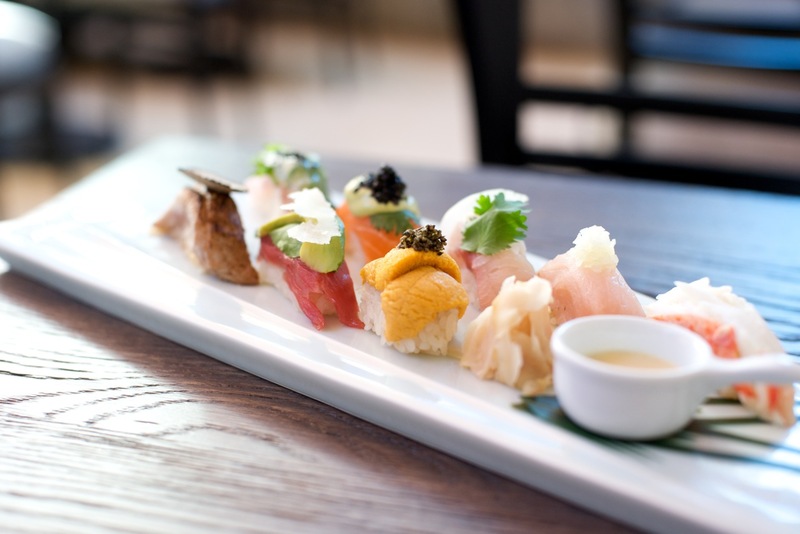 Sushi Roku has been credited for being the pioneer of contemporary sushi, with a diverse menu that unites traditional Japanese cuisine and vibrant global flavors with the seasonal bounty our California landscape provides. Sushi Roku uses the finest, freshest fish from around the globe with the kind of artistry that can only be executed by a seasoned sushi chef to ensure an unparalleled sushi experience. Certified sake sommeliers and mixologists have crafted a diverse and exceptional beverage menu to complement the cuisine. At the heart of the Sushi Roku menu is fresh seafood, hand-selected at the fish market every morning. The seafood is featured in the restaurant’s sashimi and nigiri sushi offerings, which include more than two dozen fish with traditional favorites such as fresh toro, uni, and hamachi. The restaurant also features a selection of signature rolls, ranging from Crunchy Spicy Tuna with avocado and Baked Lobster in creamy miso sauce, to a more intricate Katana Roll with spicy tuna and shrimp tempura topped with tuna and yellowtail. 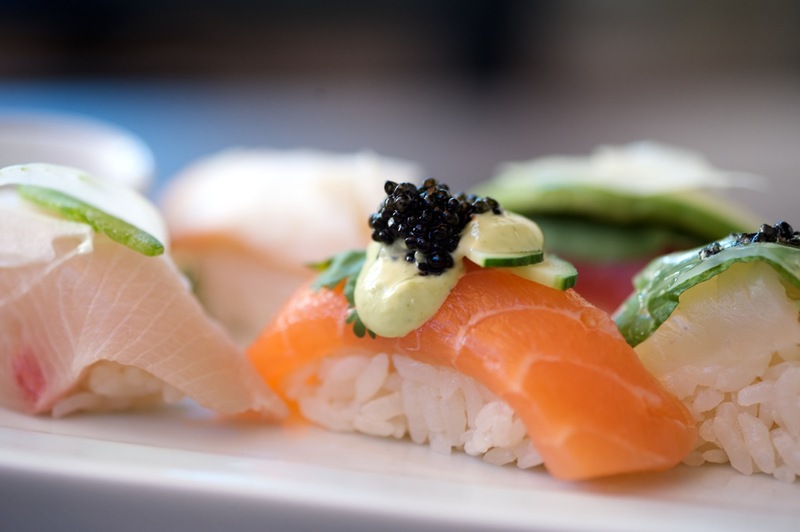 Sushi Roku’s fresh fish can also be enjoyed in a selection of hand and cut rolls. To begin the meal, the menu features both hot and cold plates, which come from the “Garden,” “Sea,” and “Farm.” Offerings include unique dishes like Kimchee Cucumber Sunomono, Fluke Kumquat Sashimi with yuzu vinaigrette, and Sushi Roku’s signature “Hanabi,” which is spicy tuna on crispy rice. The menu also offers Japanese Salads, including an Organic Kale Salad with king oyster mushrooms, crispy shiitake, and ginger plum vinaigrette, yet another inventive dish that is globally inspired. The restaurant’s entrees incorporate Japanese Bincho Charcoal, a traditional high-quality kilned Japanese oak that delivers and intense heat to the menu’s Filet Mignon with Ginger Teriyaki Sauce, “Ji-Dori” Free-Range Chicken, and Grilled Salmon with Roku BBQ Sauce. In addition to a selection of soups, noodles and rice, Sushi Roku’s Fashion Island location will see the addition of a Katana Robata section on the menu, with the options of five skewers – Filet Foie, Kobe Black Pepper, Shrimp Bacon, Sea Bass, and Chicken. Sushi Roku has been recognized for its vast selection of sakes in all styles and price ranges, and this Sake Program will offer a greater variety of 300ml bottles and more sake-by-the-glass options. Guests will have the opportunity to partake in one of two Sake Tasting Flights – one with a traditional tasting of Junmai, Ginjo, and Daiginjo, and the other, with more playful options, including flavored sakes and Nigori, and sparkling varieties, such as an effervescent Star Rabbit Blueberry Sparkling Sake from Ume No Yado Brewery in Nara. The wine list specializes in labels from around the world that pair well with Japanese cuisine: crisp whites, including bottles of premium French Champagnes, and full-bodied reds. The bar offerings tend to be as eclectic as the cuisine, with a wide variety of specialty cocktails from our in-house mixologists and signature fusions prepared with fresh-squeezed juices and premium seasonal ingredients. Among its craft cocktails is Sushi Roku’s own take on the Moscow Mule called the Far East Mule, created with Bombay Sapphire East Gin, fresh lime juice, Thai basil, cucumber, and ginger beer, and a unique scotch and sake cocktail called the Salary Man, featuring Dewar’s 12 scotch, Daiginjo sake, sour, and raspberry-cilantro mash. Sushi Roku’s happy hour menu will feature $3 to $6 bites, including edamame with truffle butter, seared Albacore sashimi with crispy onions, and pork kakuni sliders, all of which can be paired with a fine selection of $3 beers and $4 to $7 cocktails and wines. Chef Hiroshi oversees a team of experienced sushi chefs at the restaurants, and in Fashion Island, has appointed resident Head Chef Shin Toyoda to keep a watchful eye over the kitchen. A native of Tokyo, Japan, Chef Shin learned the traditional “Sushi & Kappo” by training under several esteemed Master Chefs at Kanda Muromachi in Tokyo. After gaining his formal training, Chef Shin moved to Los Angeles and after getting a sense of what the Southern Californian diner was seeking by working in the region for 12 years, he joined Sushi Roku Hollywood in 1998. It was there that he began utilizing ingredients such as olive oil, chili peppers and caviar in his sushi and sashimi preparation. Executive General Manager and Sake Sommelier for the restaurant will be Eiji Mori, who has been with Innovative Dining group for 16 years, and has served as GM of Katana Robata and Sushi Bar for the past 8 years. Mori will curate an extremely selective sake menu that embodies the complex flavors and aromas that define craft sake. Sushi Roku Fashion Island will feature numerous settings for dining, including a 129-seat dining room, 16-seat sushi bar, 15-seat bar with 18-seat lounge, and 40 seats for patio dining. Under the watchful eye of Architect and Designer Ralph Gentile, the 5,100-square-foot restaurant will speak to the sophisticated sensibility for which Innovative Dining Group’s concepts are known, while highlighting natural elements that imbue the space with an understated elegance. Upon entering the restaurant, guests will be greeted by a custom chandelier inspired by sister concept, Katana Robata and Sushi Bar. Soothing earth tones will be seen throughout the space with porcelain wood grain floors, stained oak-slat ceiling, warm teak exterior and windows, 8-foot bamboo forest-inspired wall, and walnut around the sushi bar. In addition, the sushi bar will feature a unique knife-edge lit ceiling and the main bar will feature a custom, organic lit sculpture hanging above. Other features to note is a 20-foot Japanese glass screen that has been hand painted, locally made tiles and lighting, and custom-made painted spindles on the perimeter of the restaurant. Sushi Roku Fashion Island will be located at 327 Newport Center Drive in Newport Beach (adjacent to Macy’s, across from True Food Kitchen). For more information about Sushi Roku’s menu and other locations, visit www.sushiroku.com.